I’m a huge pesto fan and I usually have a batch of homemade pesto in my fridge. I think it’s so much richer in flavors than the store bought ones, and that means I can reduce the portion size to accomplish a rich taste. After all – there’s a whole lot of oil in there. I usually stick to the traditional version with basil, pinenuts, garlic, lemon and oil, but sometimes I like to mix it up. 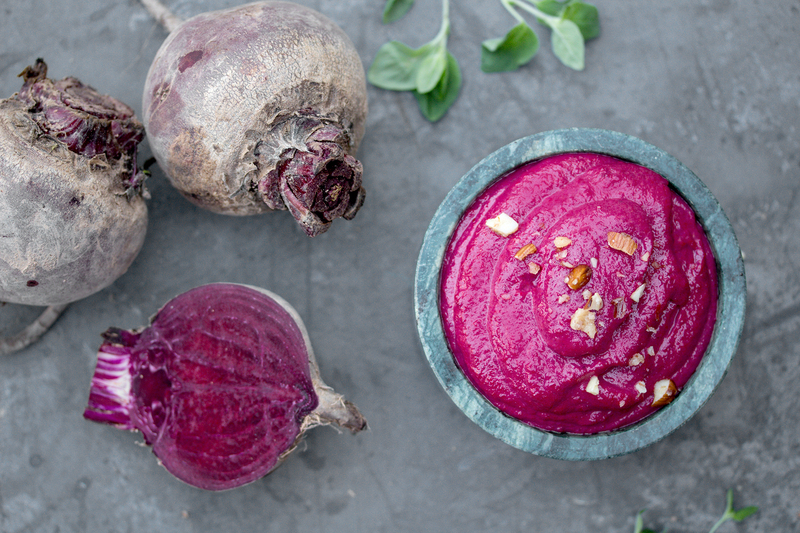 This beet pesto is perfect for that, and I’m a hu(g)e fan of the bright pink color. I’ve used it on everything from pizza to salads. Preheat the oven to 190 degrees C (375 degrees F). 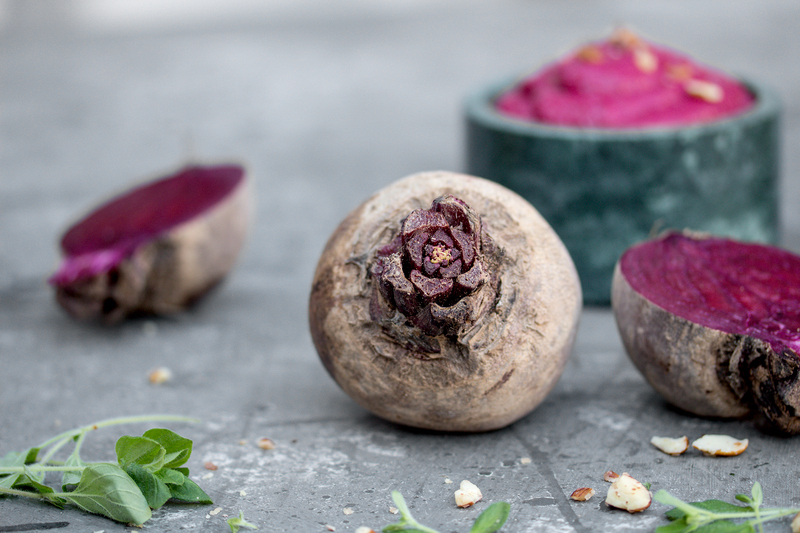 Remove the peel from the beets, and slice them into dices of about 3 x 3 cm. Place them on a sheet of aluminum foil and wrap them into a foil package. Place it in oven for about 50 minutes, or until the beets are soft. Allow the to cool completely. Roast the walnuts until they are slightly browner. Add all of the ingredients except from the oil into a narrow bowl and use a hand blender to mix. Leave the blender in the bowl, and add the oil. Mix slowly first, then work it around until you have a thick and smooth mix. Here is a video by jwsobeck showing how (you can of course also do it the traditional way by adding just a few drops of oil at the time.